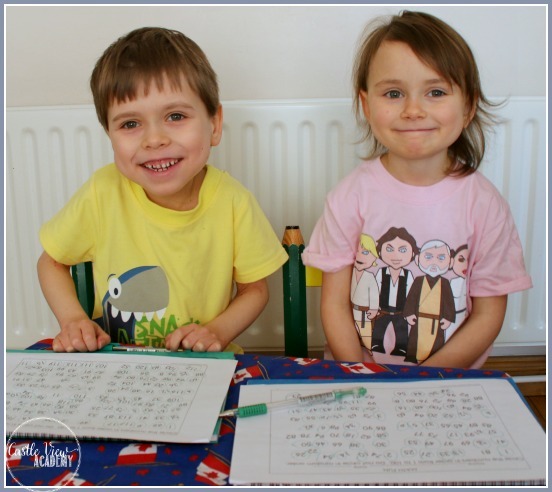 You know we love The Wise Owl Factory, and we’ve tried out many of her products previously, so when Carolyn asked us to review her free Fun Fast Counting Math Trick, I just couldn’t resist once I had a look at it! Let’s set the scene: Older siblings often hold the hand over younger ones in math…but today it was Kallista’s time to turn the tables and beat her older brother! We took the free printables with us to the library (we love our library) and I showed the trick to Kallista while Tristan was busy in his book club. Kallista caught on VERY quick, and then couldn’t wait to try it out on Tristan. Back at home, we set the kids up and explained what the kids were to do: Here’s a page with the numbers 1-100 (or 1-120) on it. Find all of the numbers and circle them in order. Kallista, already knowing the trick finished circling all 100 numbers by the time Tristan had only completed about 25, much to his dismay. What was her trick? You can see how it works in this video. I just love the way Tristan’s expression changes when he catches onto the trick! However, now they will be challenging their Dad! Who will win that battle…a five-year-old, an almost eight-year-old, or a we’ll-not-mention-his-age-Dad? 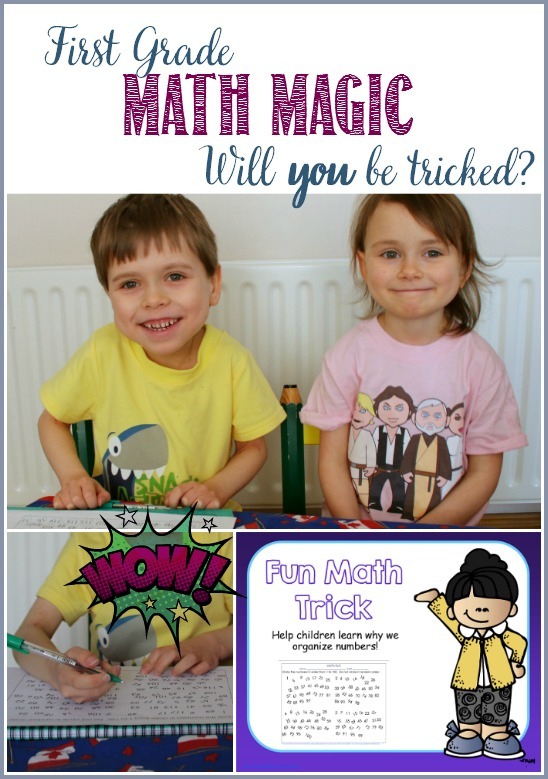 Head on over to visit The Wise Owl Factory to get your own free printable Fun Math Trick. See who you can trick! In addition to just using this product with children, I think it would be perfect for tricking relatives, friends, and I think it would also work great for Phil to use at work as an ice breaker for when they have team meetings….and this is exactly what Phil said, too. He’s going to bookmark the link and use it at work! I can’t wait to hear how it goes. Do you have any math tricks up your sleeve? 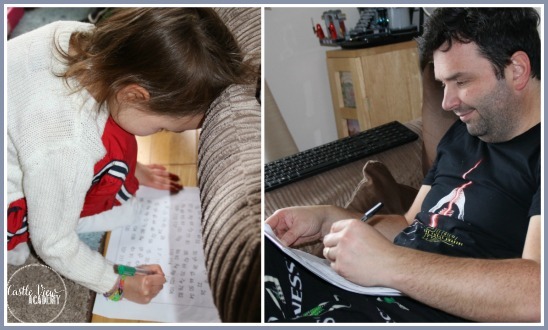 How do you get children interested in math and it’s finer details? Share your ideas below in the comments and we can all have some fun! This has been a sponsored post, but the the fun and interest has been our pleasure. Thank you once again for a real quality educational product that is fun for kids (and easy for parents and teachers – just print and go)! Ahh, that video is so very cute of your kiddos! What a fun math trick and a great way to get kids interested in mathematical concepts. You could tell how much they enjoyed it! How lovely that you made learning into a game? I just loved their little faces during the video; so excited and then proud. This type of teaching is what keeps our kids engaged throughout their lives. I love the way The Wise Owl Factory always creates products that are very educational, but also very fun and something children look forward to doing. Games like this make math so much fun! They certainly do! They get the mind thinking in new ways which is fantastic!